Floyd Mayweather Jr. may not have known UFC featherweight and lightweight champion Conor McGregor (pictured) fought this past Saturday at UFC 205 (or so he claims), but Memphis Grizzlies center Marc Gasol certainly did. After nailing a go-ahead three pointer from the corner, which wound up being the game clinching shot to put the Los Angeles Clippers down on Wednesday night at Staples Center in LA, Gasol celebrated in true two-way champion fashion. I’m sure most NBA fans merely thought Gasol was just celebrating with a random strut after hitting a big shot. However, that was no ordinary strut. ESPN color commentator and former NBA star Mark Jackson immediately knew that Gasol was imitating McGregor’s walk. Let’s be honest, though. It’s not McGregor’s strut, he stole it from the WWE’s Vince McMahon. Regardless, McGregor has brought it back to life and made it his very own. Gasol’s homage to McGregor didn’t end there. His post-game tweet tore a page directly out of the Mac playbook, although the quote is a bit off. 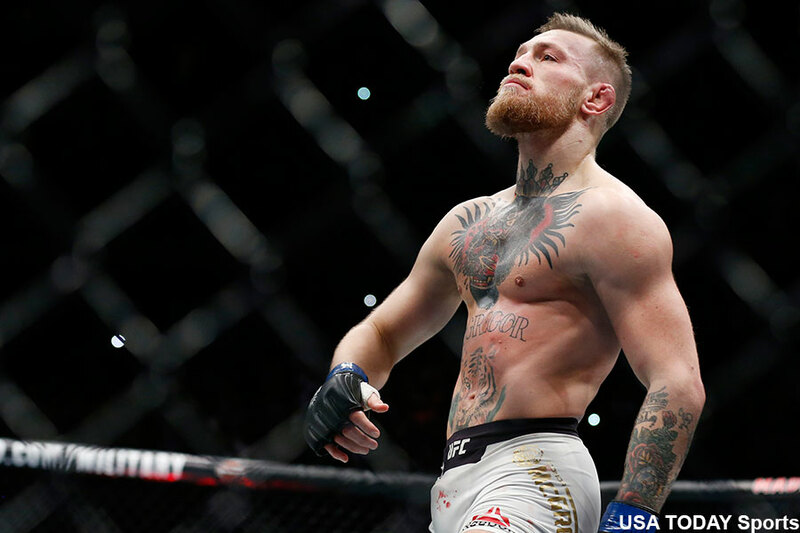 McGregor unleashed the unforgettable “I would like to take this opportunity to apologize to … ABSOLUTELY NOBODY!” line after destroying Eddie Alvarez on Saturday to capture the UFC lightweight title. He became the first fighter in UFC history to simultaneously hold two different belts. Thanks to Gasol, McGregor has officially become a crossover superstar.